Rolling convenience with height adjustability. 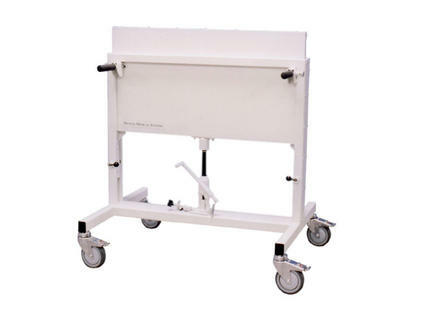 The Adjustable Height Mobile Radiation Shield puts shielding where it is needed. Roll into place, secure the wheels and adjust to the desired height. Panel can be height adjusted within a 4.5" range. Wheel and swivel locks on each caster provide secure placement.